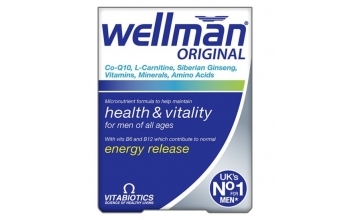 Wellman® has been developed to help maintain health in men of all ages. It is ideal for those with active and hectic lifestyles. 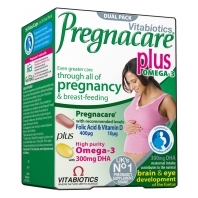 Unlike a general multivitamin the safe nutrient levels have been specifically formulated for men. Hectic Lifestyle: Thiamin (vit. B1), copper and iron contribute to normal energy release. Also includes L-carnitine, Siberian Ginseng and Co-enzyme Q10. Immune System: Includes vitamins C, D, B6 and B12 with folic acid, copper and vitamin A which contribute to normal function of the immune system. Sport & Exercise: To be on top of your game you can't afford to be tired. 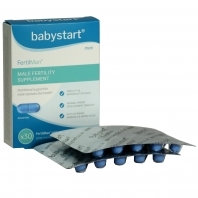 Provides pantothenic acid and magnesium which contribute to the reduction of tiredness and fatigue.Reproductive Health: Zinc contributes to normal reproduction and the maintenance of normal testosterone levels in the blood. Plus selenium which contributes to normal spermatogenesis. One tablet per day with your main meal. Swallow with water or a cold drink. Not to be chewed. Do not exceed the recommended intake. To be taken on a full stomach. 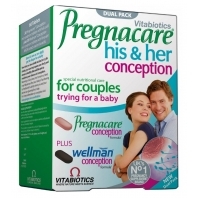 This comprehensive formula replaces other Wellman® supplements and multivitamins. There is no need to take an additional multivitamin. Store below 25°C in a dry place, out of sight and reach of children.